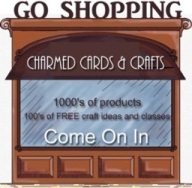 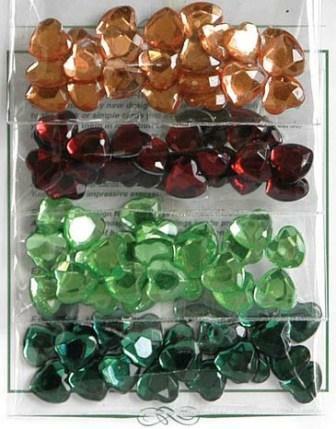 Pack of heart shaped gemstones from CraftyBitz in Gold, Red, Green, Light Green. 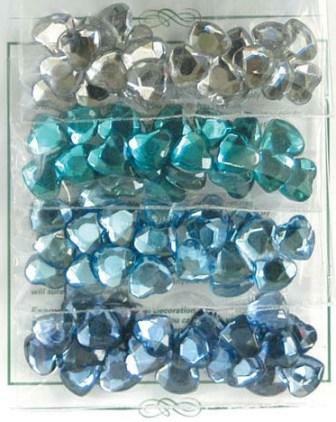 Pack of 9mm heart-shaped crystals from CratyBitz in crystal clear, turquoise, pastel blue, and sapphire. 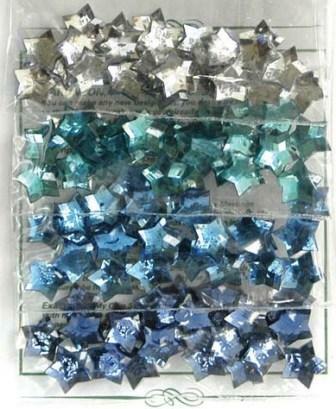 Pack of 9mm star-shaped crystals from CratyBitz in crystal clear, turquoise, pastel blue, and royal blue. 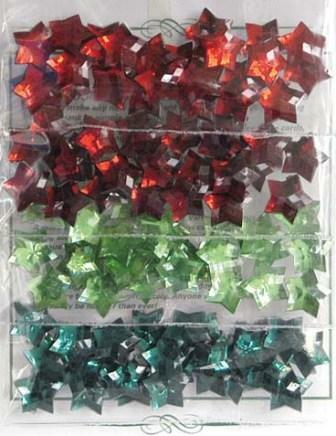 Pack of 9mm star-shaped crystals from CratyBitz in Red, Burgundy, Light Green, and Emerald Green. 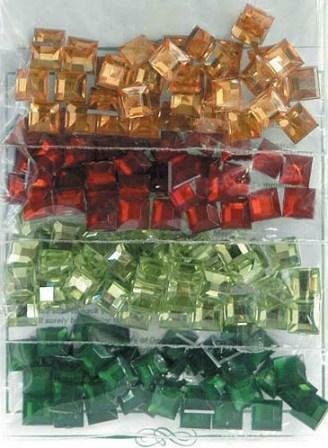 Pack of square gemstones from CraftyBitz in Gold, Red, Light Green, Dark Green. 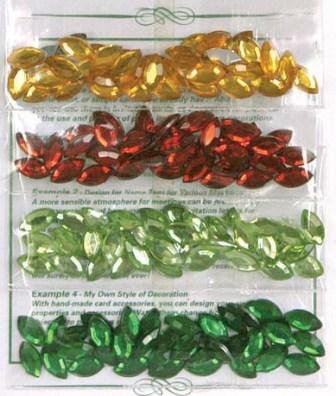 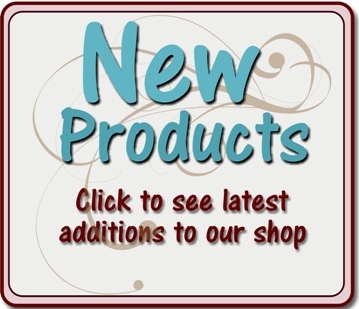 A super selection of 8mm leaf-shaped gemstones from CraftyBitz, in gold, red and greens. 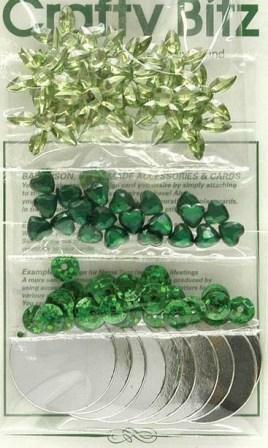 A selection of green jewels and round silver toppers. 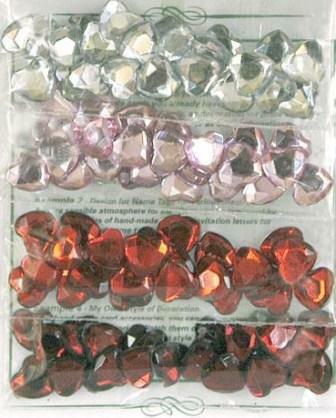 Jewels includes flowers and hearts, as well as round sequin jewels. 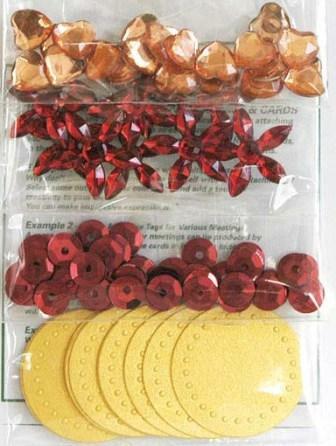 Pack comprises gold crystal hearts, red crystal flowers, red round sequins, and gold backing circles. 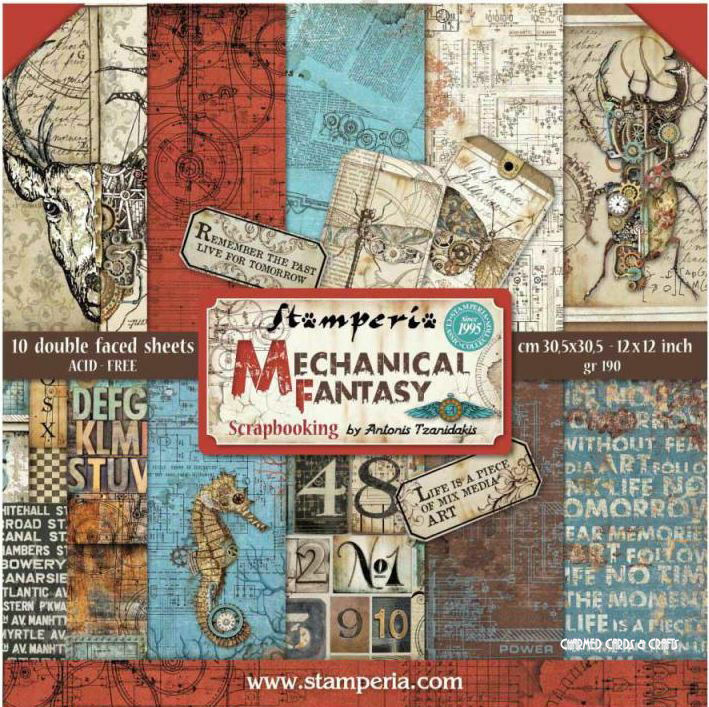 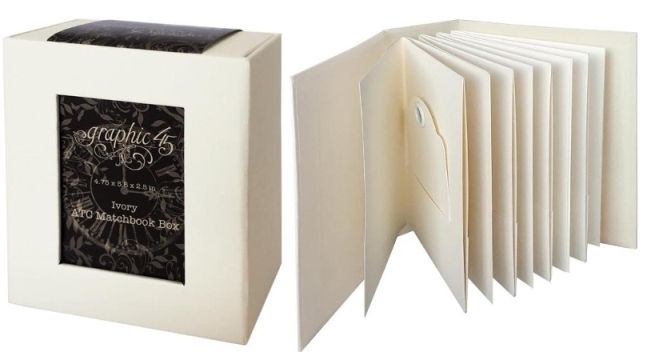 Pack comprises red foil heart-shaped backing board. 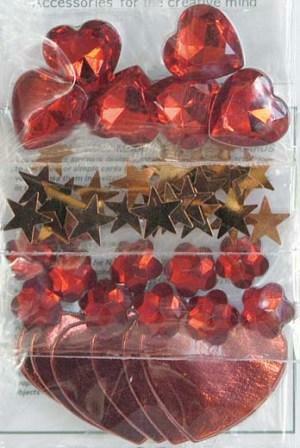 6 large red 16mm wide crystal hearts, metallic copper star confetti, and ten 5mm red flower crystals. 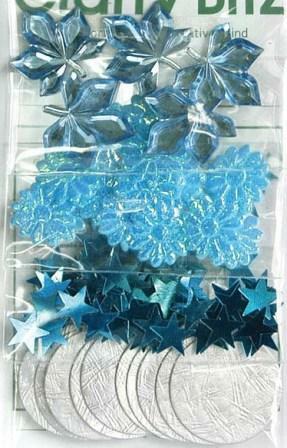 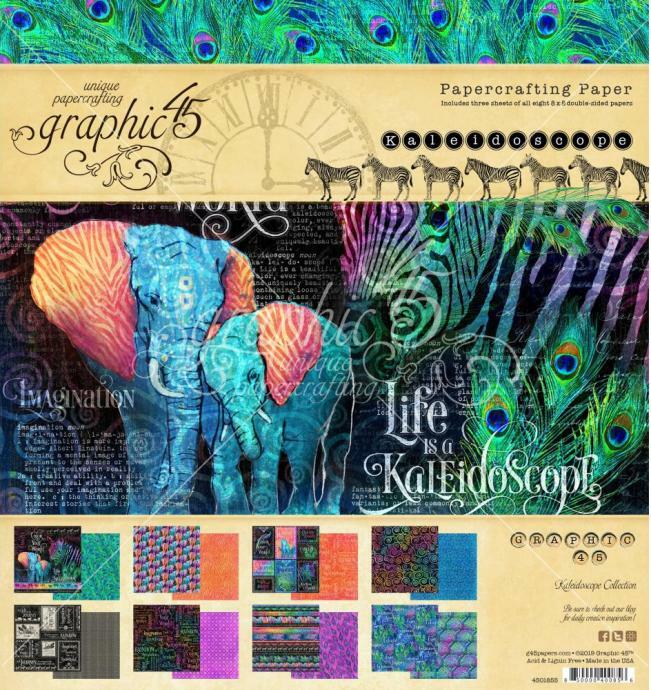 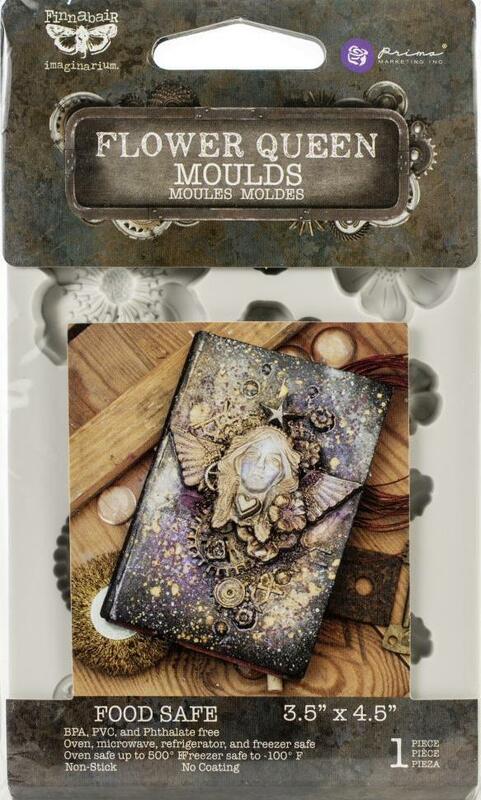 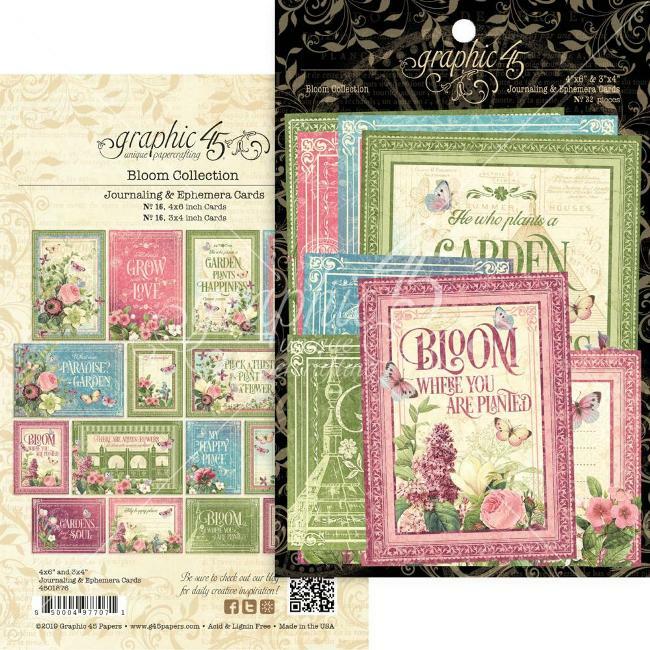 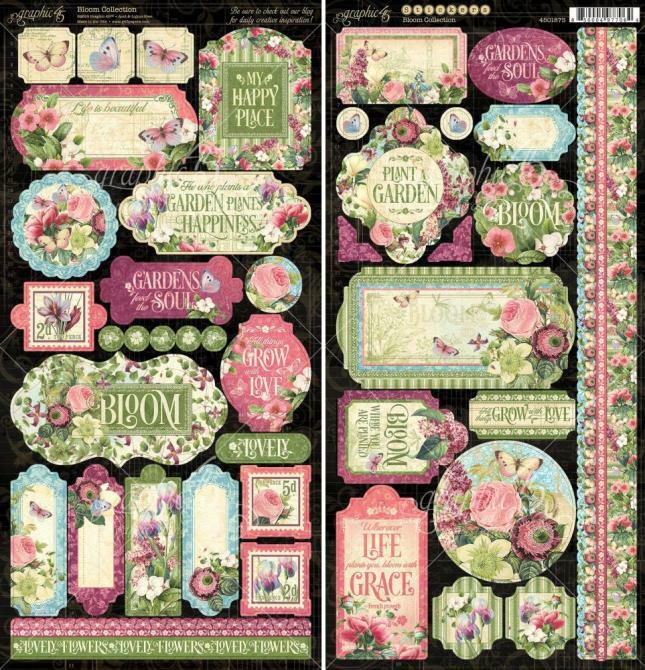 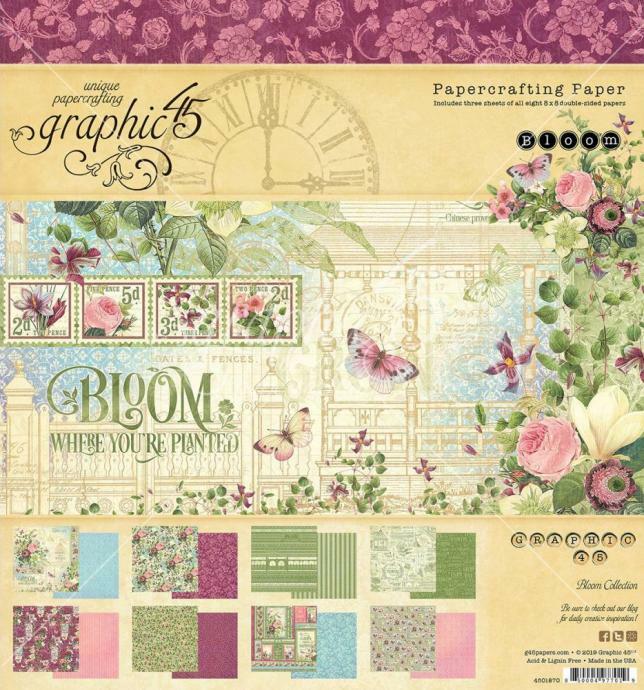 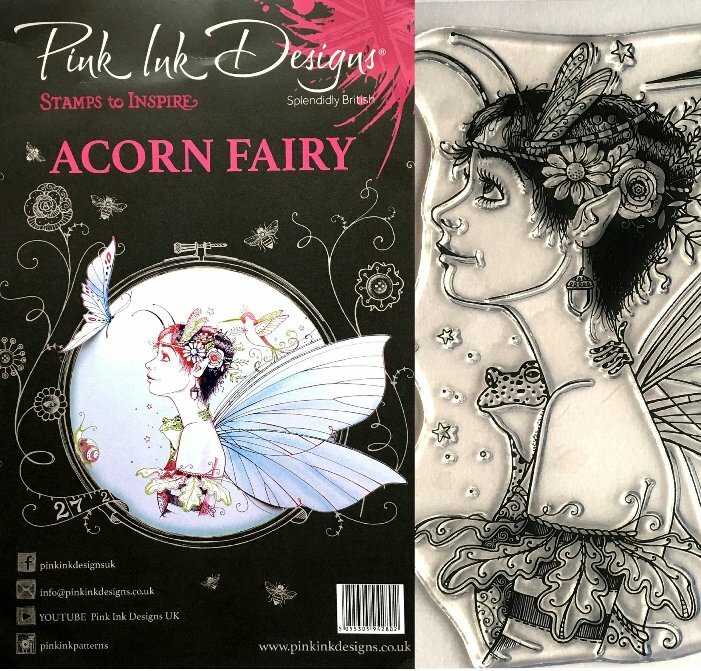 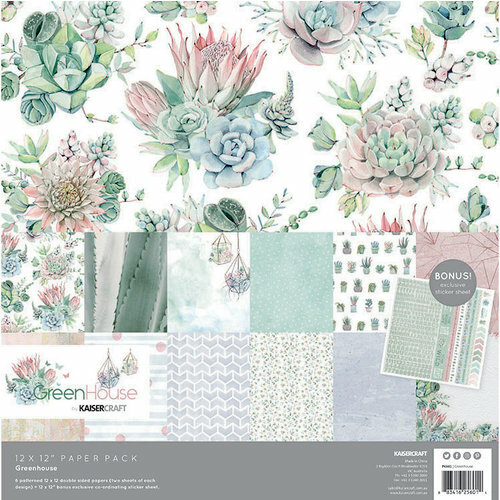 Pack comprises large 20mm crystal leaves, lurex flowers, star confetti, and round patterned silver foiled backing board. 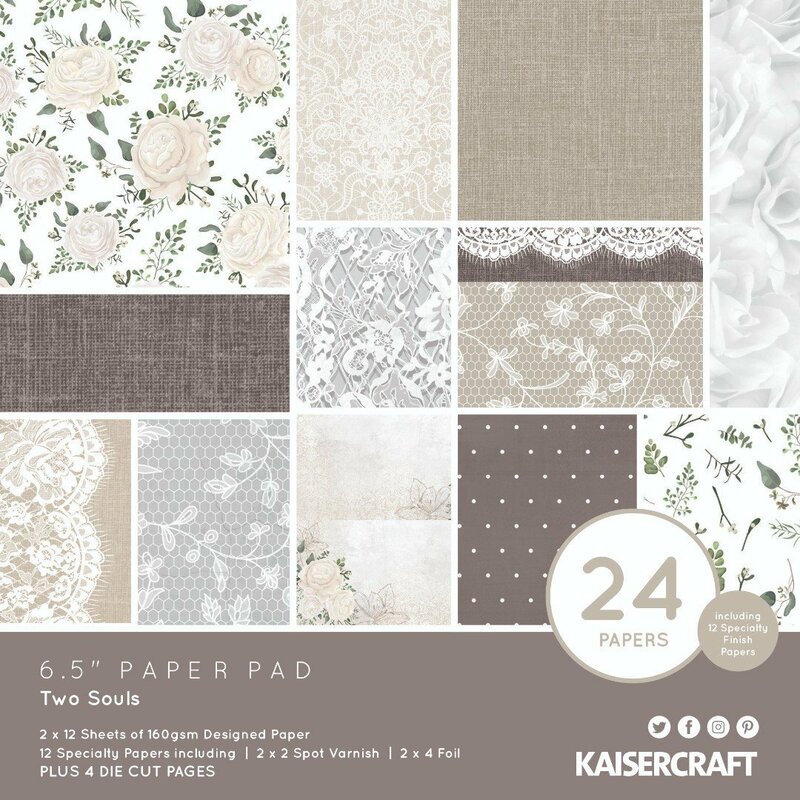 Pack comprises pinkfoil heart-shaped backing board. 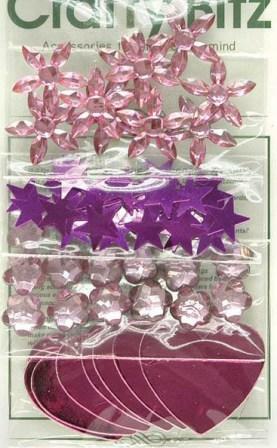 large pink 16mm wide crystal flowers, metallic pink star confetti, and 5mm pink flower crystals. 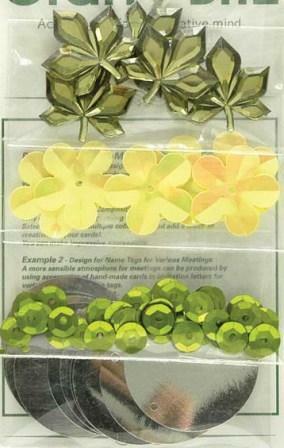 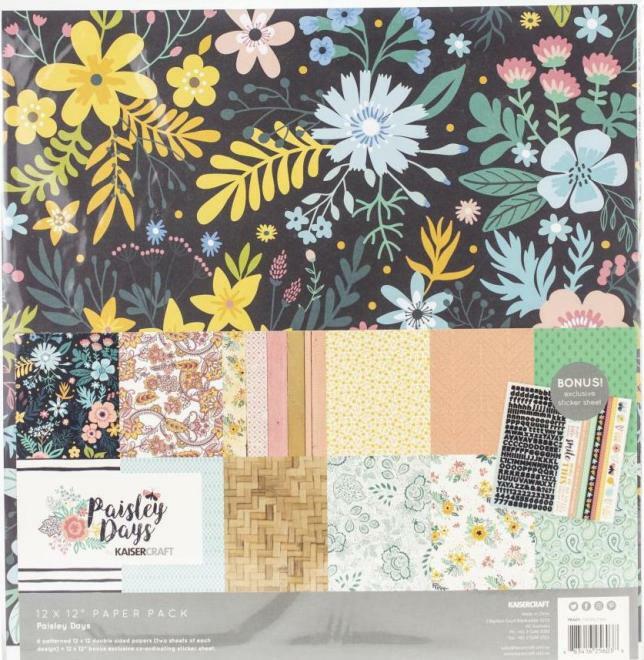 Pack comprises large green 20mm crystal leaves, large yellow flower sequins, round metallic green sequins, and round silver foil backing.